On a recent trip to the midwest I realized that inspiring brands stretch further than the majestic Pacific Northwest. Therefore, I decided this installment of the Brand Spotlight would showcase a brand from many states away. (In addition to scratching a nostalgic itch for my midwest roots.) 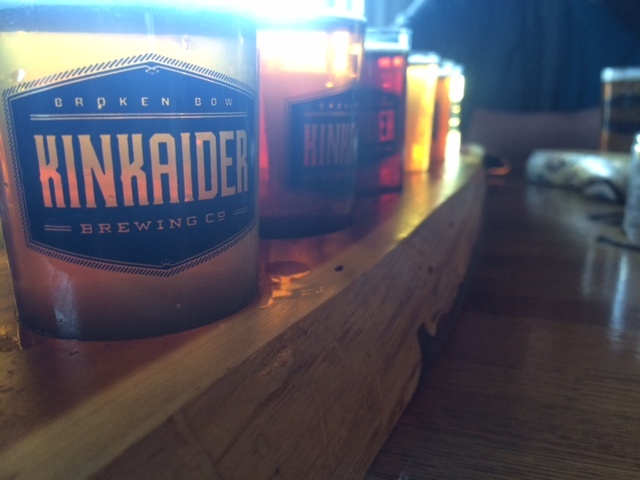 Kinkaider Brewing Co is a relatively new brewery in the charming Sandhills of Broken Bow, NE. And let me tell you folks, their brand made me feel right at home. Kinkaider is a farm brewery that was founded by four Nebraskans, born and raised. 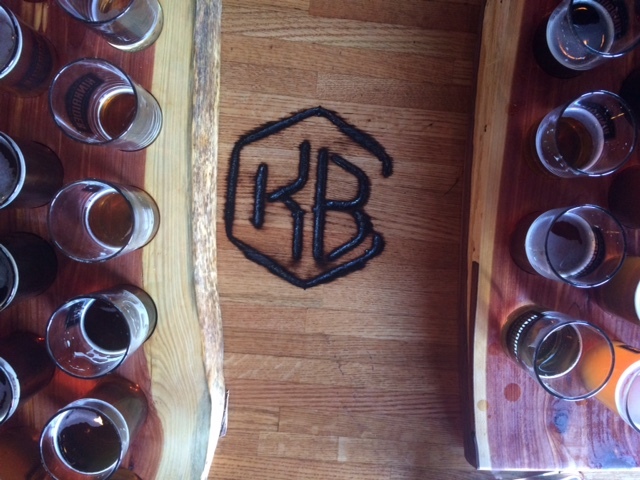 The brewery is located on four acres and features a tap house with a large patio and a separate building for packaging. As well as an event space that can be rented for receptions, graduations and parties. They also have a large garden where they grow jalapeños for their Jalapeño Ale and pumpkins. They even have a pumpkin cannon and a zip line! Due to their savvy distribution they already have a strong presence throughout Nebraska. They bottle most of their beers in six packs and even have some special releases in 22 oz bottles. I was able to get a flight of all their current beers and it sure was hard to pick a favorite! It’s obvious the folks at Kinkaider Brewing Co knew who they wanted to market to. You can tell from their brand that it is important for them to maintain Nebraskan values. This is clearly represented in their branding. From the logo that graces merchandise, to the “brand” that is found on collateral items and each label that graces their bottles. Their logo design that is on most of their merchandise and website is reminiscent of an old western store with a modern twist. The outline resembles twisted rope and the simplicity of the lines and font make this design functional on multiple platforms. 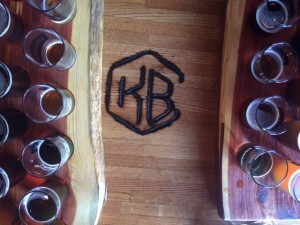 One of my favorite aspects of their brand was the KB that graces menus, tables, bottle caps and their website. It resembles an actual brand that ranchers would use and looks great on all of their collateral items! Another aspect of their branding that really hit the mark was the packaging for their bottles. Each of their brews were designed with a story in mind and each labels helps to tell that story. 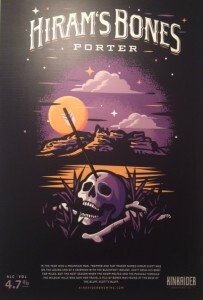 For example, Hiram’s Bones Porter, features a skull with an arrow in its forehead as it rests in front of purple hued sand hills. The label elaborates on the story of Hiram Scott and his losing “skirmish” with the Blackfoot Indians. The label is appealing to the eye and great at piquing interest. While at the same time it tells the story of Nebraska history and how Scott’s Bluff got its name. Using the history of the area is a great way to market to the people who have grown up there all their lives. It’s also a great way to tell a story about your company’s roots to people who are visiting. What else can be said of Kinkaider Brewing Co? First of all, it’s easy to check them out on your own via their various online resources. They have a very user-friendly website that features a scrolling design. It’s not crowded with links and menu options, rather it is simple and streamlined. With each scroll through their website you get to read a snippet of their story and a feeling for their brand. They also have links to their Facebook and Twitter, where you can keep up to date on events and local happenings. All in all I think Kinkaider Brewing Company does a great job marketing themselves to their local market. 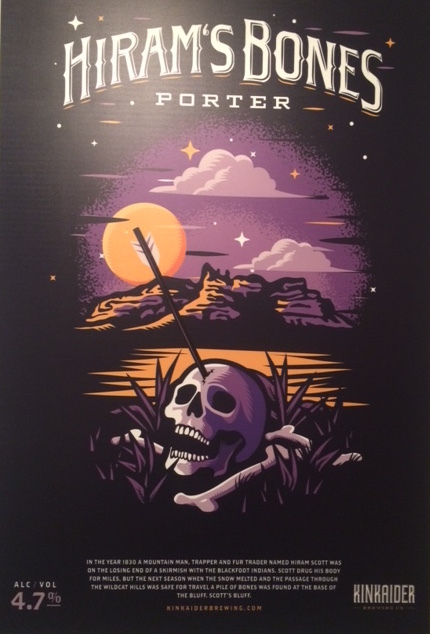 Their brand is reminiscent of the old west and truly upholds the values of Nebraska’s state motto, “the good life.” Even if you aren’t able to have a pint you should take a moment to enjoy Kinkaider’s branding and tip your hat to a brand well done.